What do you look for when you're trying to build a 3 node test/demo cluster, with each Xeon D system blessed with two copper 10GbE ports each? How about a relatively quiet switch that doesn't burn more power than the servers its connecting! The Netgear ProSAFE XS708T is the first 10Gbase-T switch I would put in a SMB office or a home without reservation....The bottom line on this: it is the best low port count 10Gbase-T switch we have seen to date and is a watershed product in terms of SMB/ SOHO networking. As you'll see in the brief first-looks video, it's apparently pretty efficient and not very loud. Admittedly, I haven't put it under load yet, that's what those NVMe M.2 drives in those new little SuperServers are for! I'm using this switch to CAT6A or CAT7 wire up all my copper 10GbE ports for those on-loan compact Xeon D systems, and I may use it for future home lab projects as well. It has two shared SFP+ ports. Sure could be helpful for folks who prefer SFP+ equipped Flex ATX Xeon D-1500 systems like the very-recently released Supermicro SYS-E300D-8D. I personally prefer copper 10GbE 1000BASE-T in my home lab, so I don't have to buy pricier (~$200 USD per!) SFP+ tranceivers and cabling. Short lengths of CAT6A or CAT7 cable for under $5 each will do nicely, thank you. This 8 10GbE port Netgear XS708T-100NES is currently experiencing somewhat limited availability, with larger and even more costly 12, 16, 28, and 48 port versions also available at Amazon and Newegg. 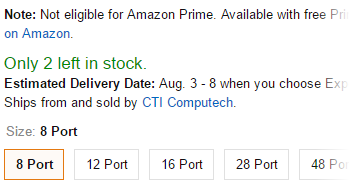 Prices of the 8 port model on Amazon seem to actually be rising by about $30 in the week since I placed my order. As of August 1, 2016, only two in stock at Amazon. There's a lot of room for improvement here, with pricing way too high, higher than the cost of the smaller Xeon D SuperServers!. 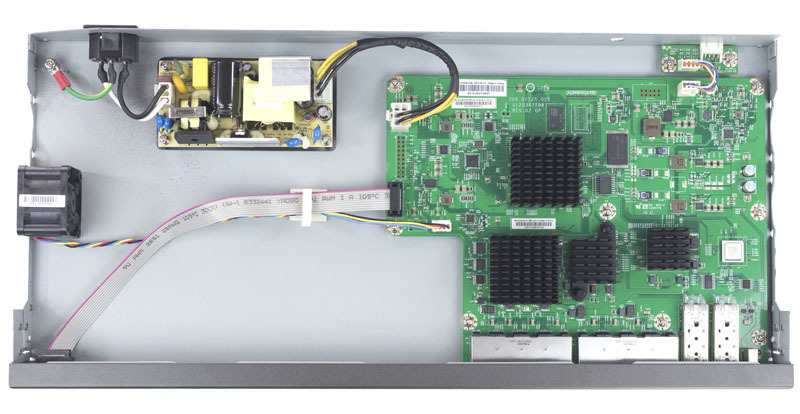 Looking inside this 1U switch, and it's clear that there's plenty of room in there to make a much smaller form factor using the same electronics, something sized more like the 1GbE Cisco SG112-24. This new video features my unboxing, careful inspection of all design features, brief watt-burn testing, and my very first successful switched 10GbE connection in my home lab. 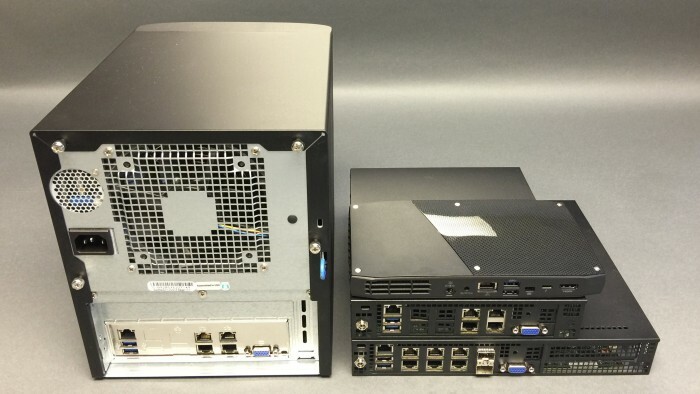 Yeah, 10GbE switches are still horribly overpriced for home labs, but at least we might finally be getting closer to practicality, and I'm so glad I waited until something approaching practicality arrived on the scene. Can you smell that (temporary/borrowed) vSAN plan I'm cooking up?